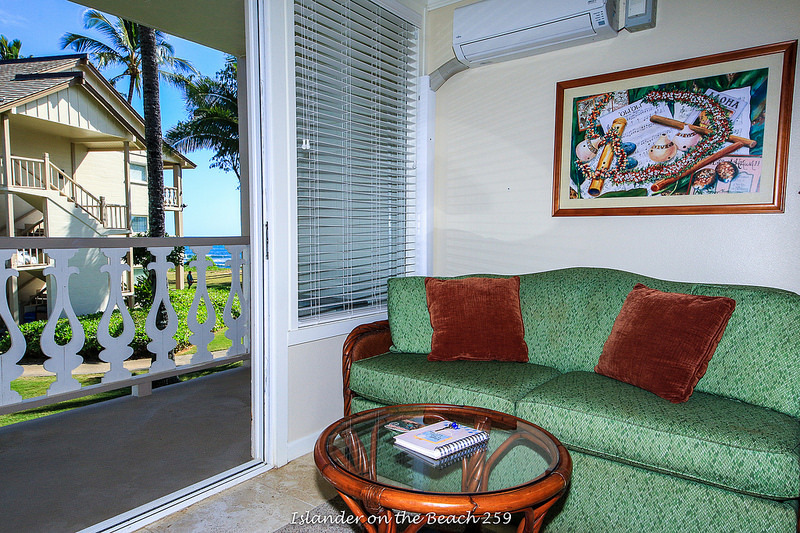 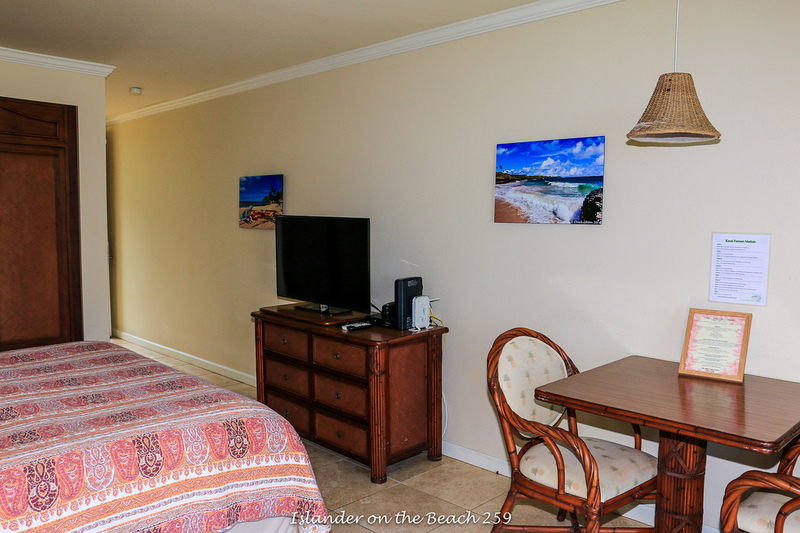 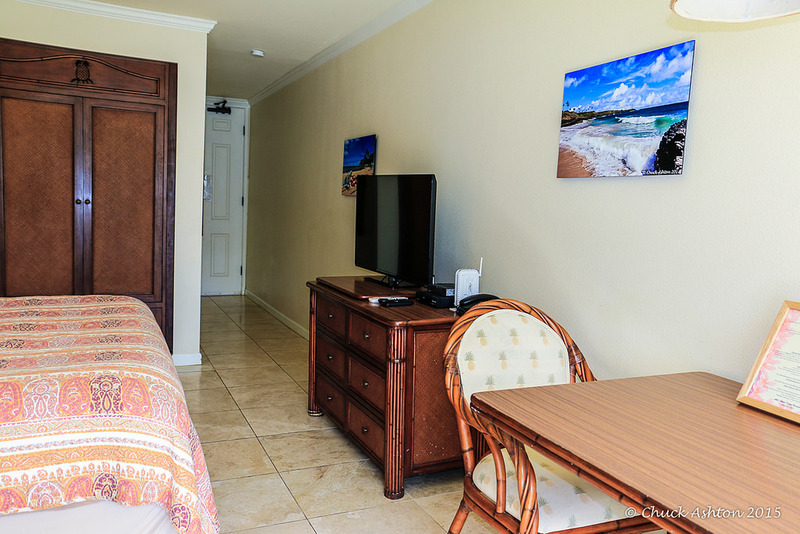 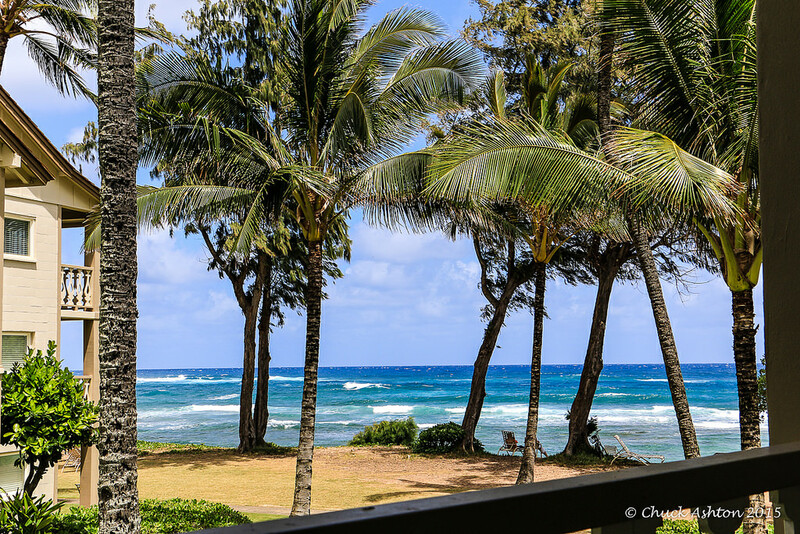 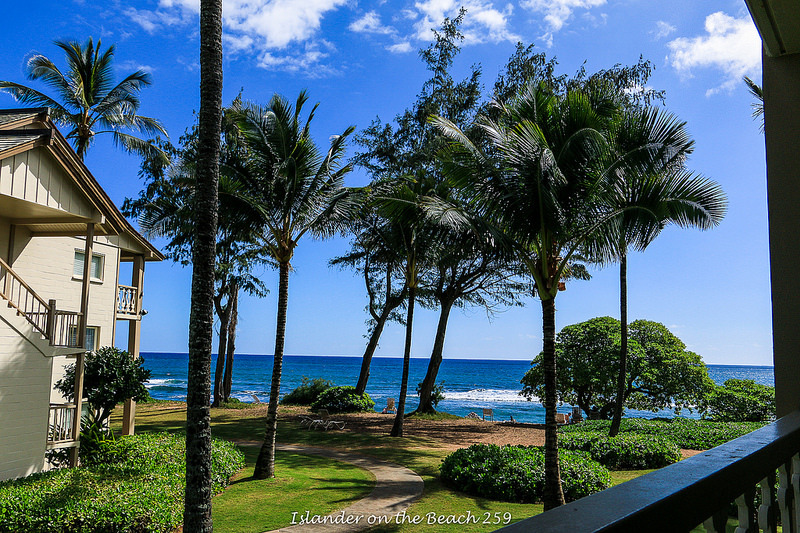 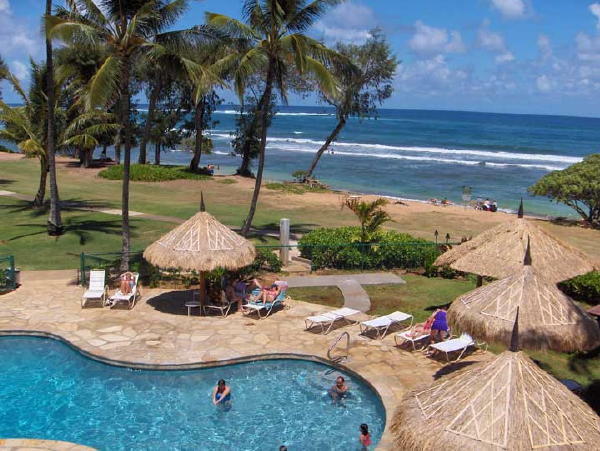 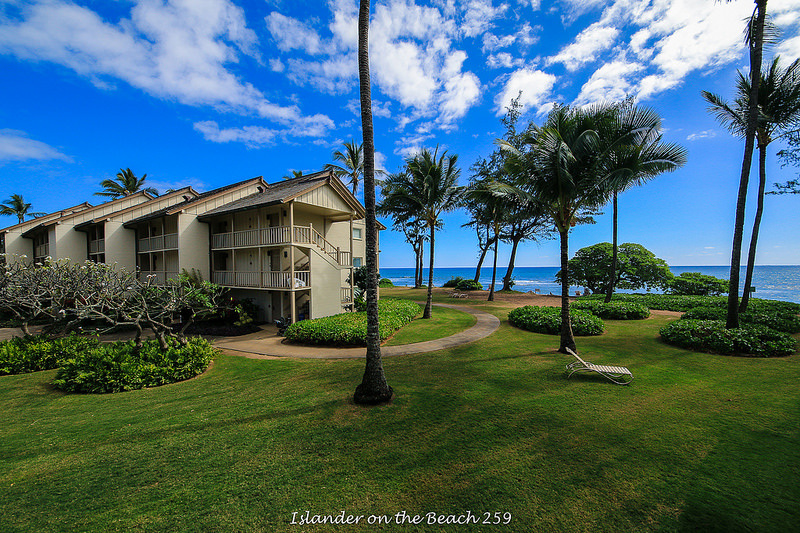 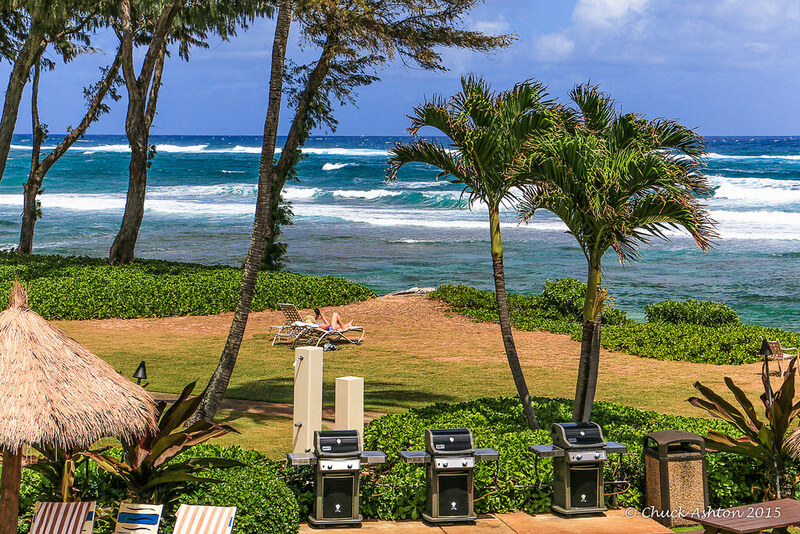 Islander on the Beach Unit 259 is the perfect oceanview Kauai vacation rental for couples looking for romance with a budget. 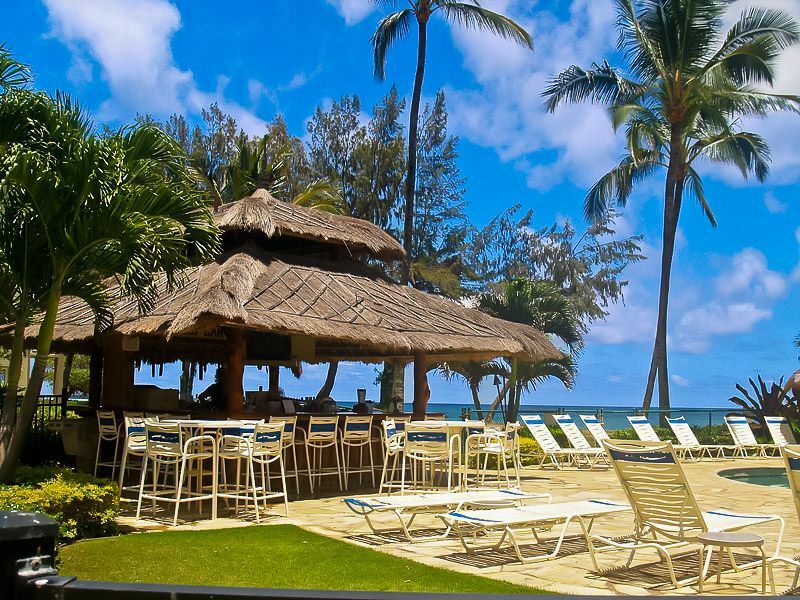 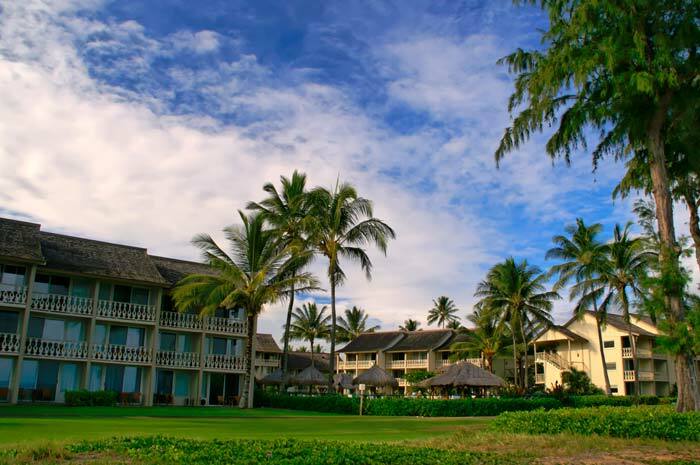 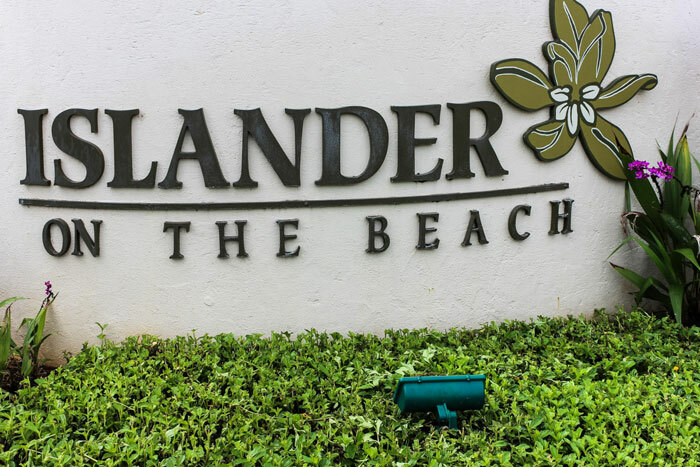 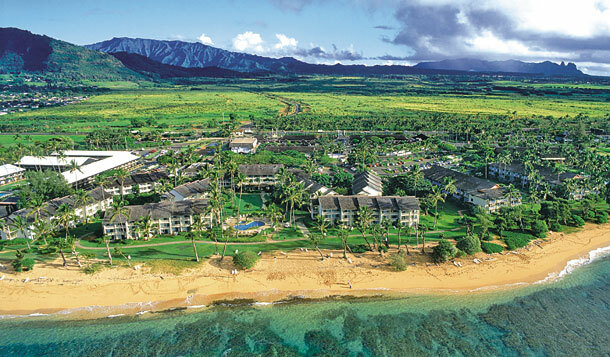 Islander on the Beach was voted in the top 1% hotels in the world by Expedia, and is a top pick in Kapaa on TripAdvisor. 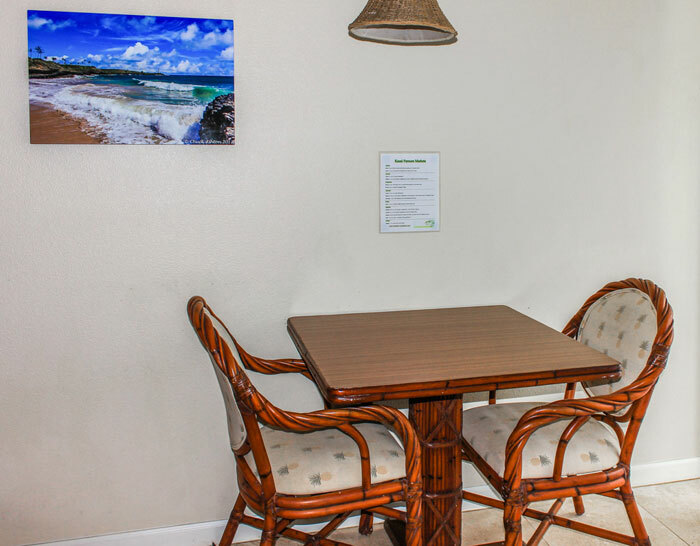 Newly refurbished with island style furnishings, Hawaiian artwork, travertine stone flooring, wet-bar kitchenette with wood cabinets, dishware, granite countertops, small refrigerator, coffee maker, microwave are all included. 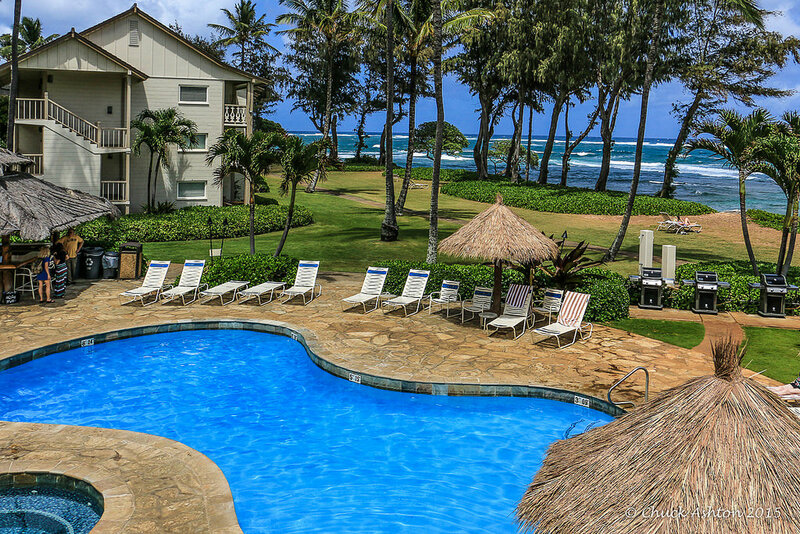 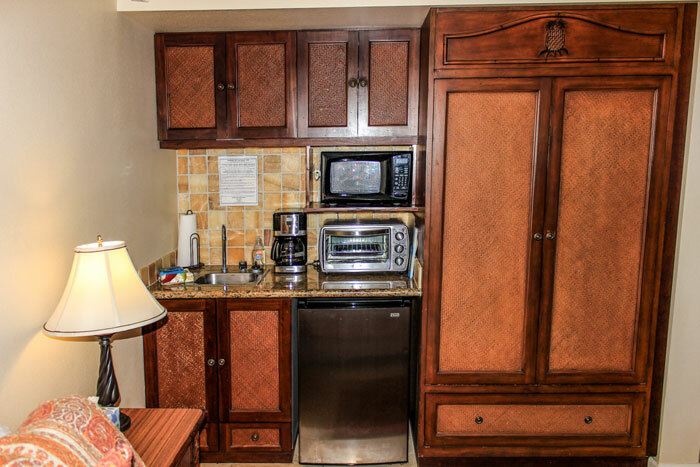 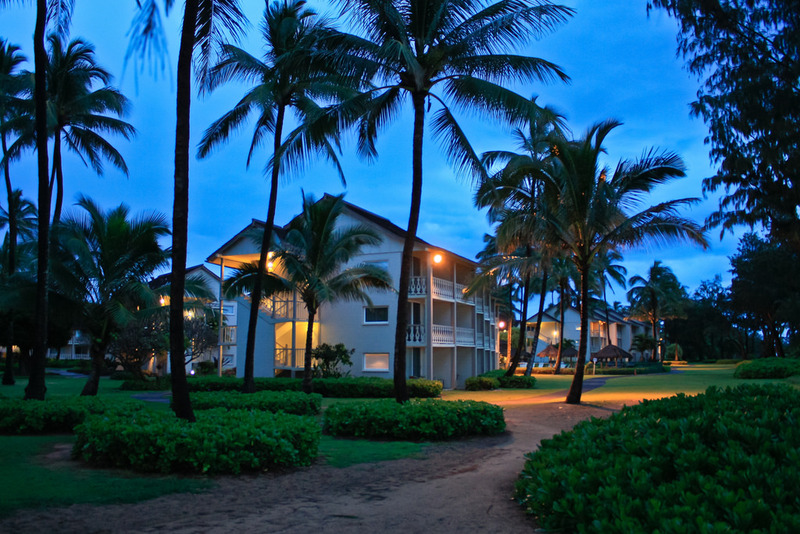 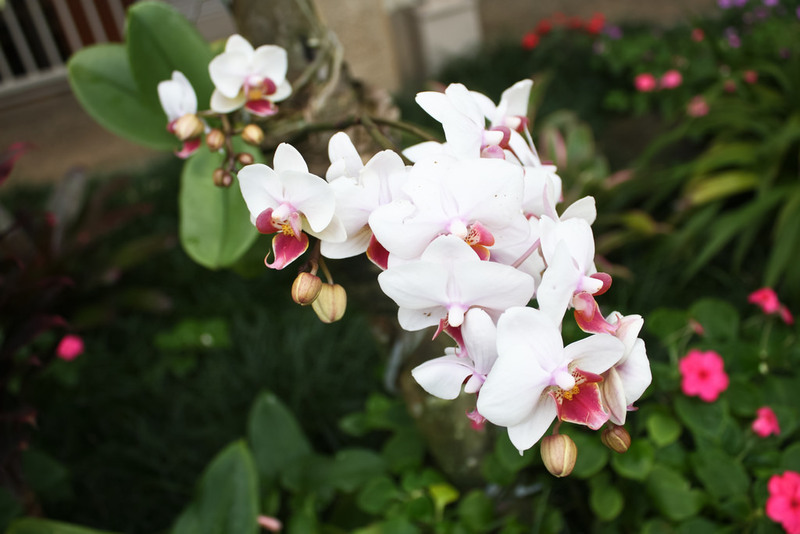 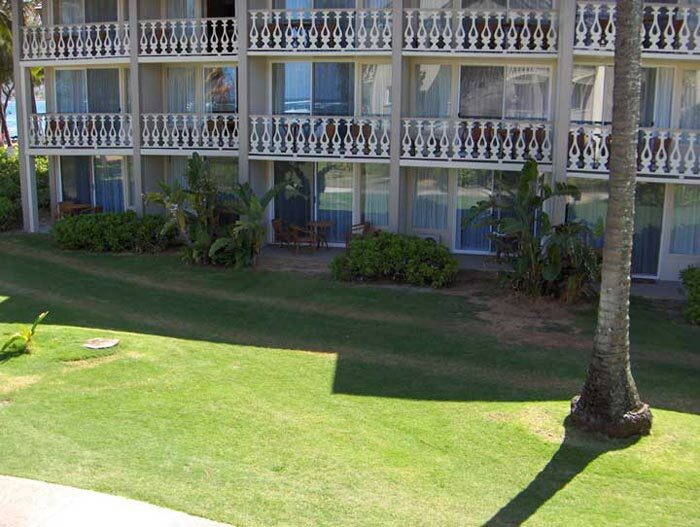 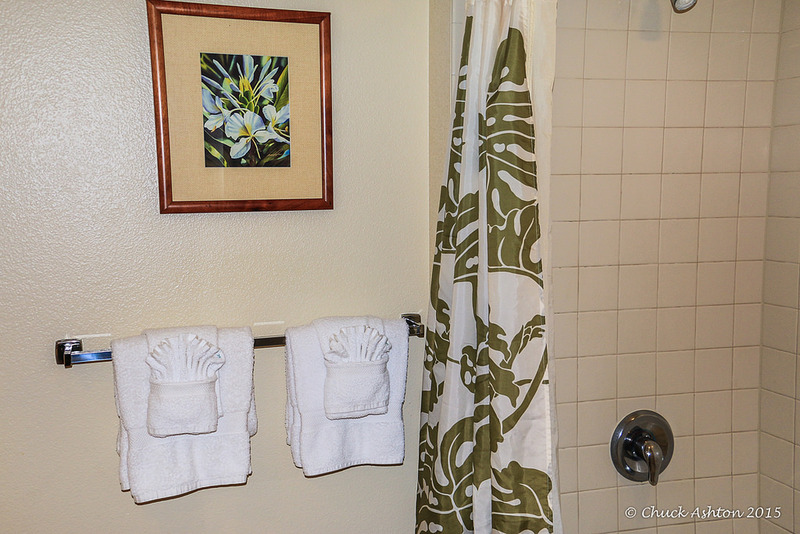 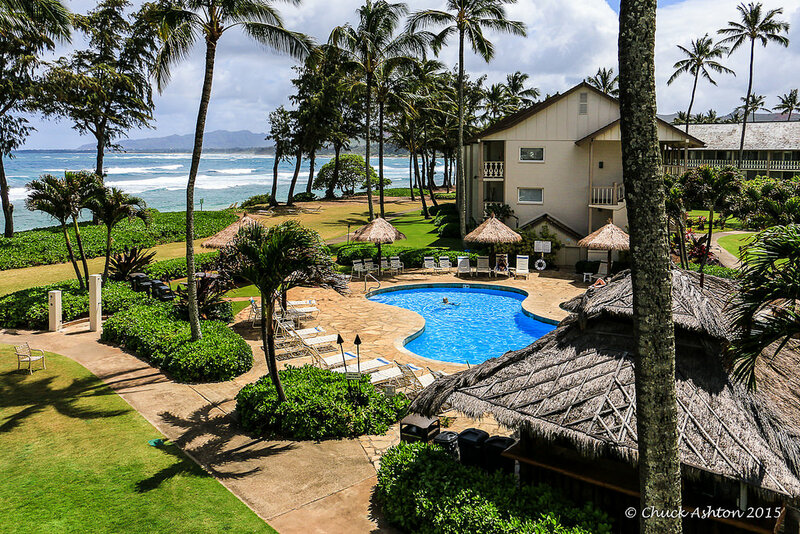 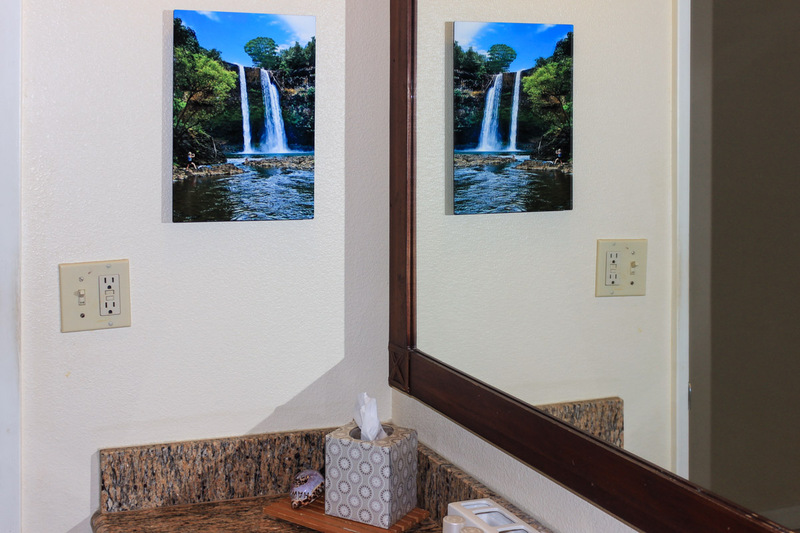 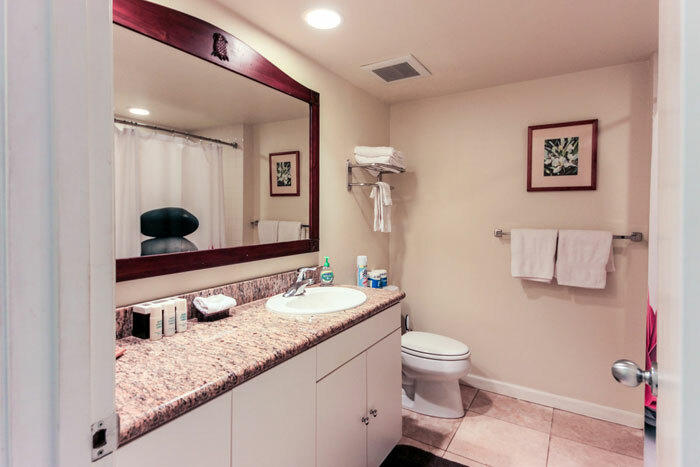 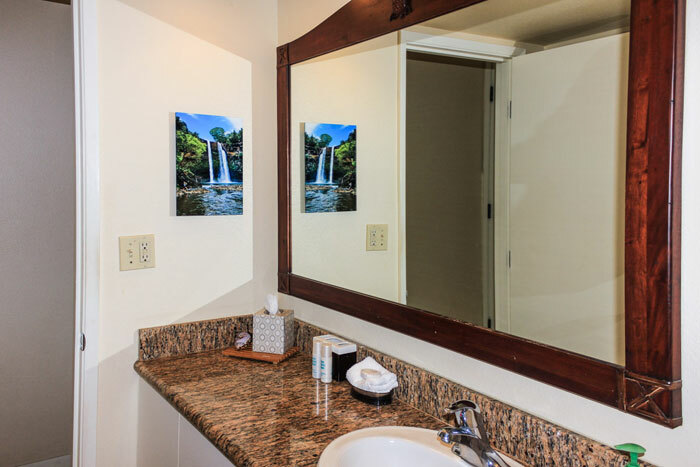 This Kauai vacation condo is ideal for preparing small meals and snacks. 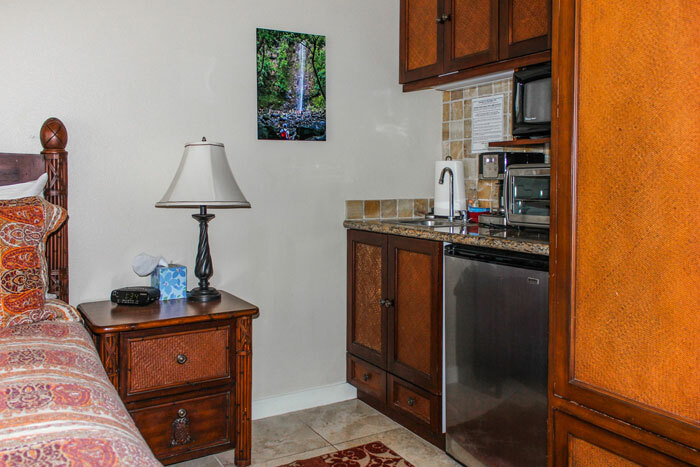 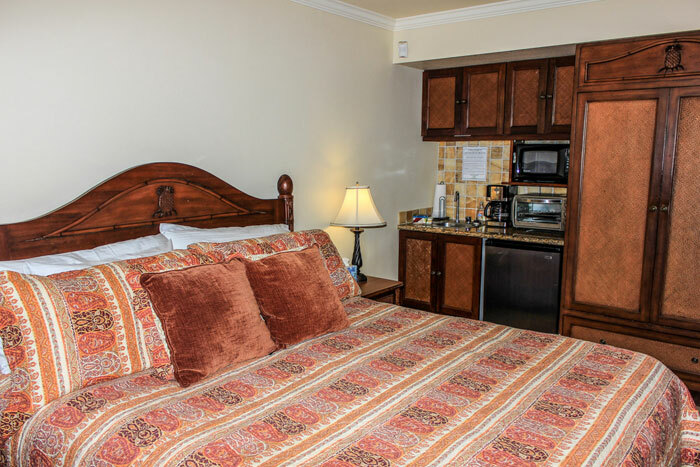 All linens are included along with iron and ironing board, hair-dryer, alarm clock, and minibar. 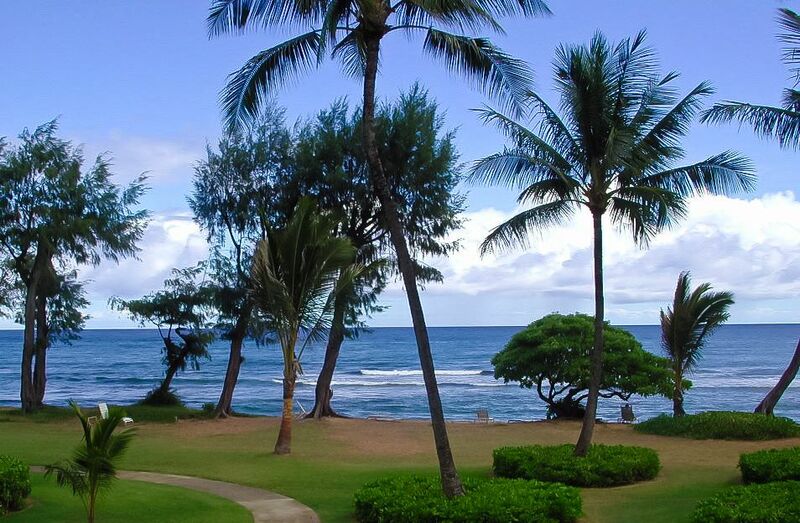 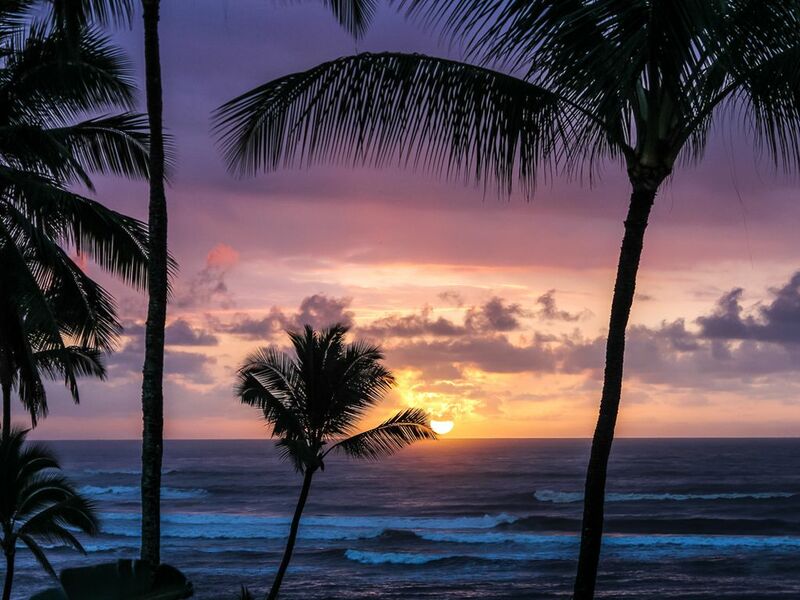 This breathtaking Kauai Vacation Rental has free Wifi, Free Phone US Calls, Cable TV, and stereo are also included. 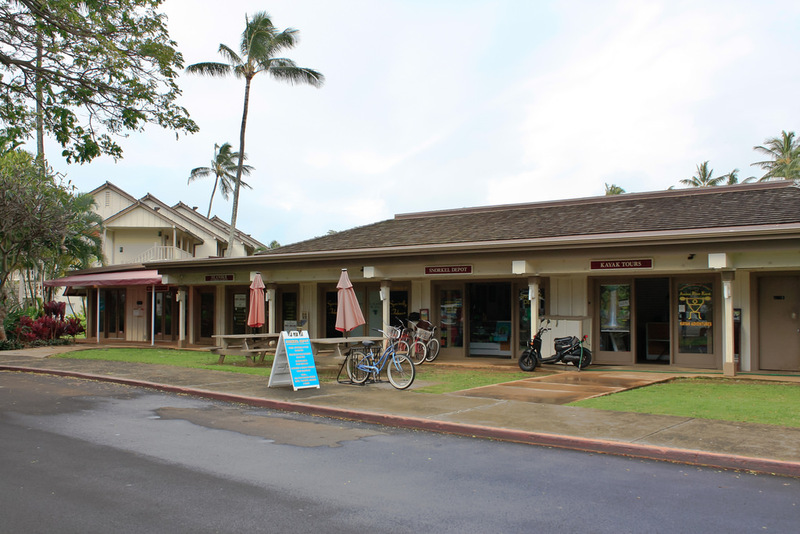 The Coconut Plantation Marketplace, with more than 60 specialty shops and restaurants, is located just across the street. 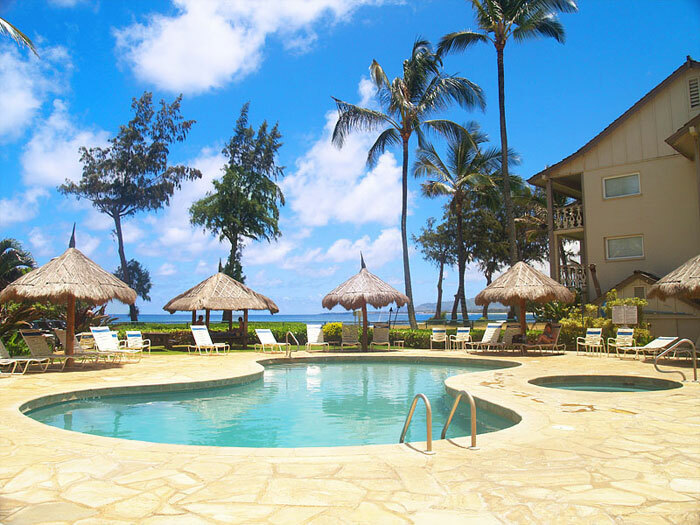 Take a dip in the glimmering waters of the resort’s pool or in the ocean that is literally just steps away. 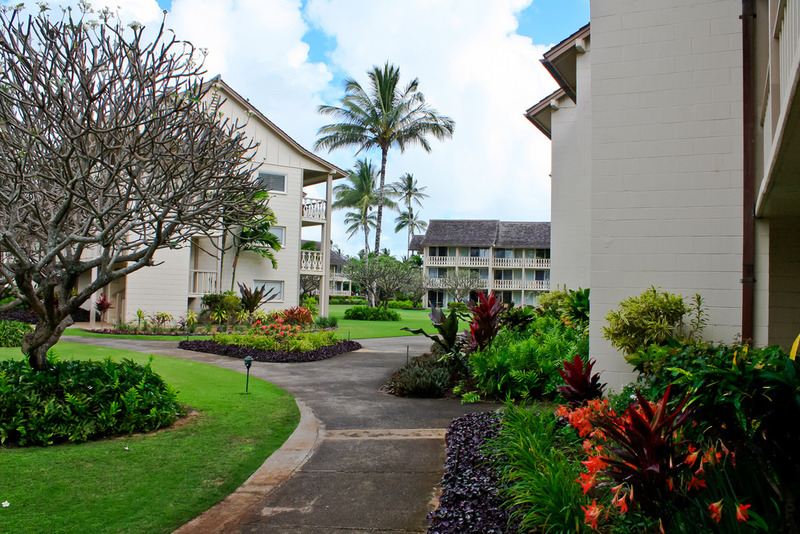 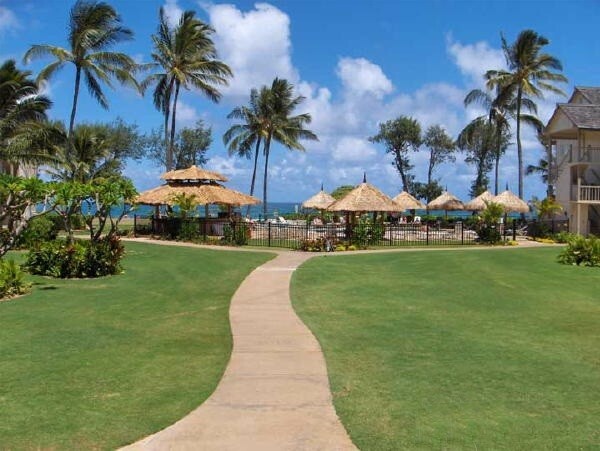 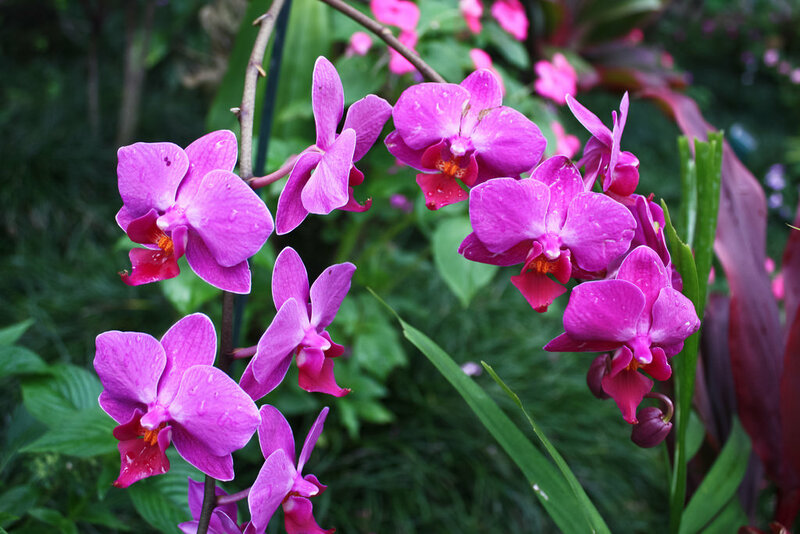 Perhaps enjoy a brief stroll to do some shopping, and then return to the comforts of your island hideaway. 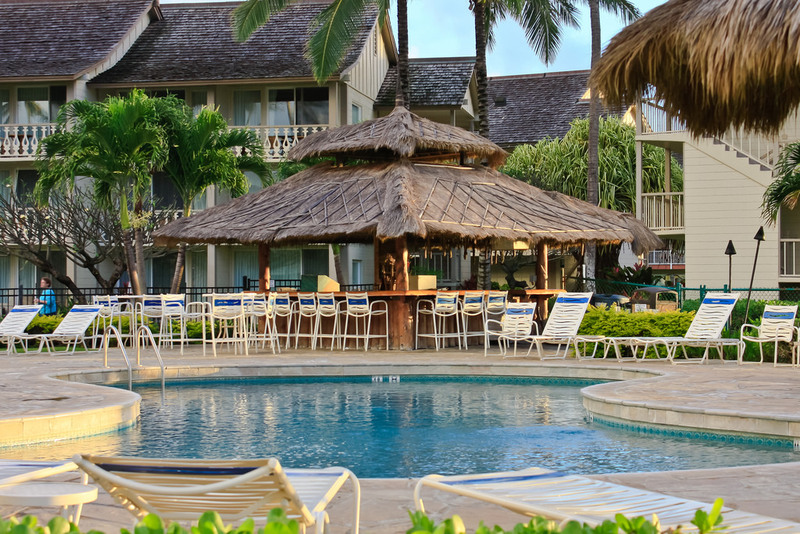 The Resort even has a pool side Tiki Bar.